Celcon® Acetal POM (PolyOxy-Methylene) is a superior general purpose engineering polymer that provides an excellent balance of desirable properties that bridge the gap between metals and ordinary plastics. 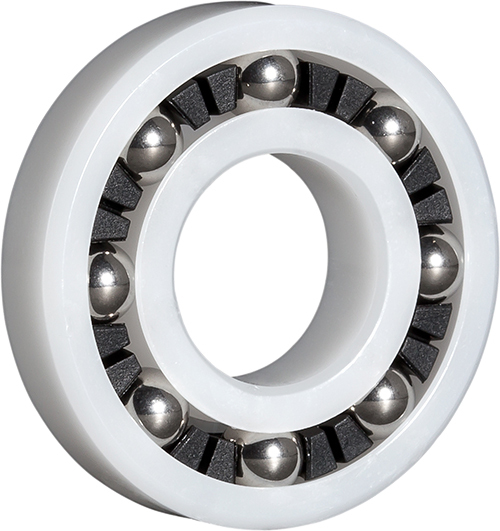 These bearings feature inch and metric sizes, single and double row bearing construction, and a choice of SS316 or glass balls. For additional information see Materials.